Office spaces deserve just as much design consideration as the home and our commercial fit-out clients can attest to the fact good design makes for a better workplace. New studies have found that having flexible working stations and encouraging people to be on their feet more at work had positive physical impacts on the body, including less body aches from inactivity and poor posture. New products are continually being developed such as stools that require the user to balance and maintain good posture while they work, and a creative office gym solution in a chair that features stretch cord straps to allow a variety of resistance exercises for the legs. It makes sense that standing rather than sitting at your computer desk, standing encourages more movement throughout the day and is therefore better for you. A study conducted by health insurer Medibank Private found people who spent a lot of time sitting at work also had long periods of inactivity on non-work days and prolonged periods of sitting were an adverse health risk. Commercial furniture manufactures are responding to these studies by producing adjustable height tables. 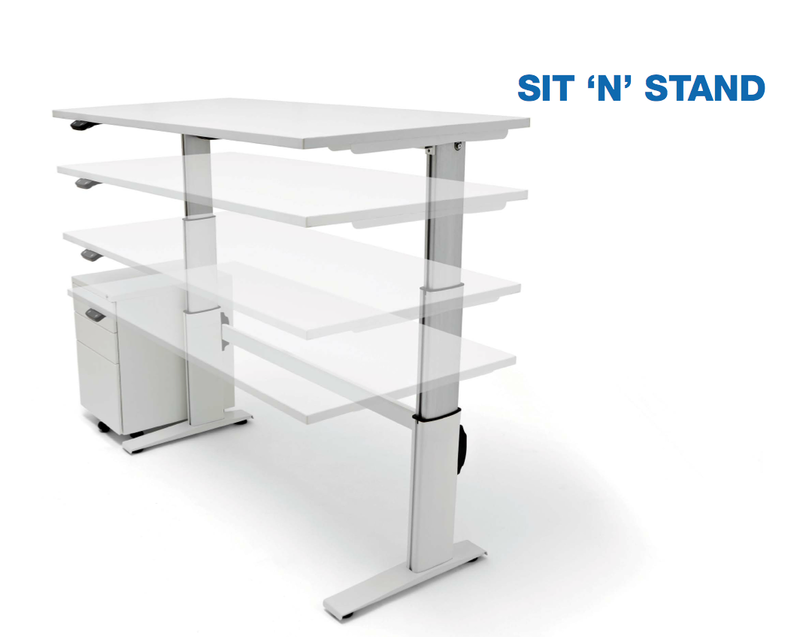 These tables are electronically height adjusted by a hand control to negate the need for manual height adjustment, which can be both time consuming and a task requiring more than one person. Our suppliers in Australia offer these creative workplace solutions for office fit outs. Simply contact us if you would like further information on these great solutions. Lastly, an additional study by the Centre for Brain Health in the US found aerobic exercise improved brain function and memory, so if physical performance can equate to mental performance it’s a win-win in the workplace.